Instagram, Instagram, Instagram. It would be an understatement to say that we are all too familiar with that app. Why is the appeal so strong though? Well I guess we all find it fun to look at everyone’s perfect photos and stay updated on their lives with their stories. But it’s always a “bye productivity, hello unproductivity” session, aye? Anyway, if you’re looking to jazz up your Instagram photos and stories, look no further for here are 5 apps that will do just that. Originating from Korea, SNOW is basically the Asian version of Snapchat, but better. It has gazillions of filters and stickers that are super entertaining and what’s more, they’re always being updated so you’ll never be bored! You can connect with friends and chat just like Snapchat so it’s a win-win situation! 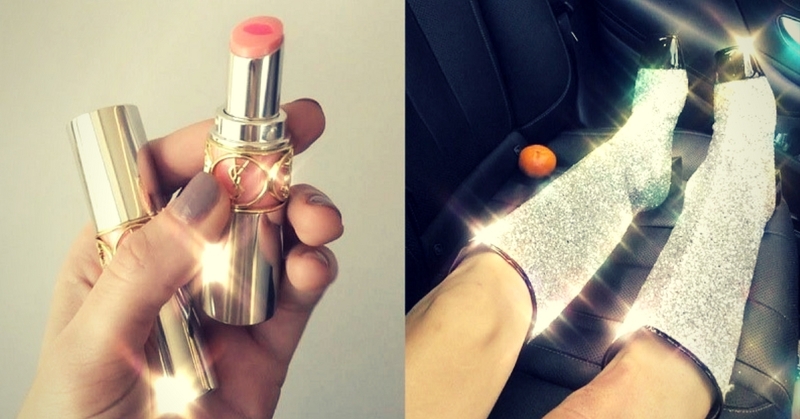 This app adds sparkles to literally everything you can think of. If you feel like your photo or video is a little dull, maybe what you need is some sparkles! Thankfully, the sparkles aren’t too overwhelming and in your face but add a nice natural finish. Unfortunately, this app is only available in the iTunes store for Apple, but there may be other substitutes for Android! Adobe draw is exactly what it’s called. You can draw anything or draw on anything with this app. Something that’s rather on trend these days is to draw little outlines on your pictures, such as the one pictured above. It gives a whimsical finish to an otherwise ordinary photo. InShot is your go-to app for making videos and photos that extra bit special. It’s especially useful for creating your Instagram stories. You can change the canvas size, change the background colour, add effects to your video, add text, add stickers etc. You can even time the text and stickers to appear at the particular beat you want. Giving your photo or video that grainy vintage look can do wonders. YayCam retro is only available on Android while 8 mm is only available on Apple. But each app has its own fortes and both will give you a retro feel. It’s time to take a trip down memory lane!